Arctic Sunrise is a beautiful bright blue with a heavy pink shimmer. I think it's appropriate for both winter and for upcoming spring and summer months. Gotta love a polish with good seasonal mileage! Three coats. 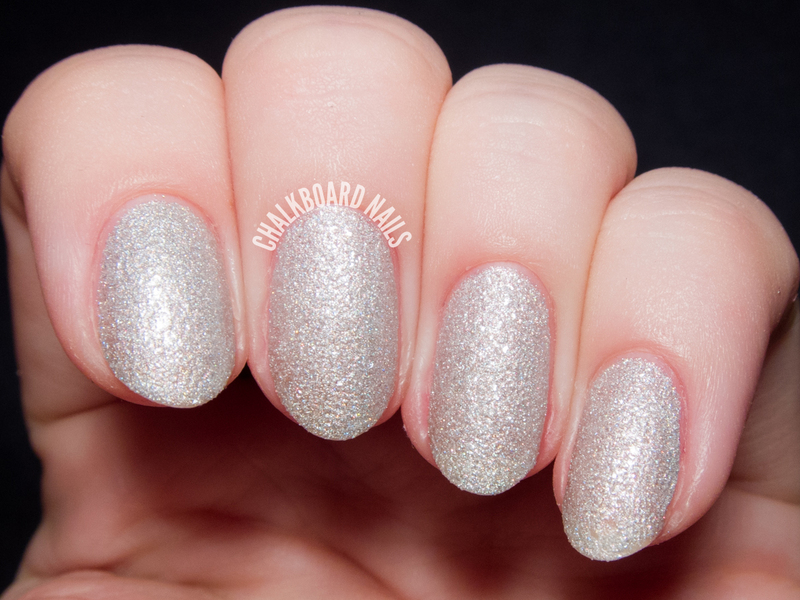 Bette Davis Eyes is a pale silver with a light textured finish. Cool! This was one of the newer Girly Bits shades that I was most curious about. I wasn't disappointed, it's really neat. If you prefer low-intensity textured finishes, this one has a really subtle grit to it. Two coats. 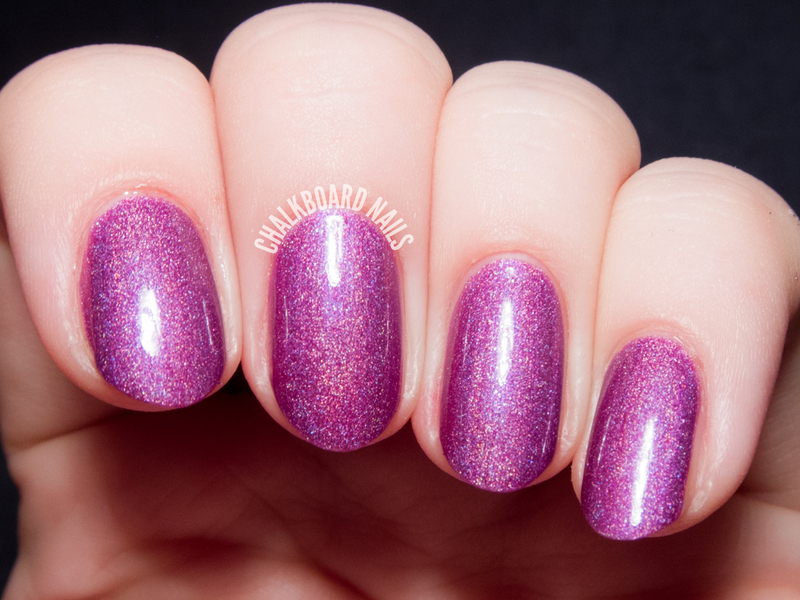 Ho Ho Hope is a red-toned-violet holographic shade with a subtle holo rainbow. The formula was lovely, needing just two coats for the coverage shown, and the color is enchanting. Lover's Coral is a soft peachy-coral shade. 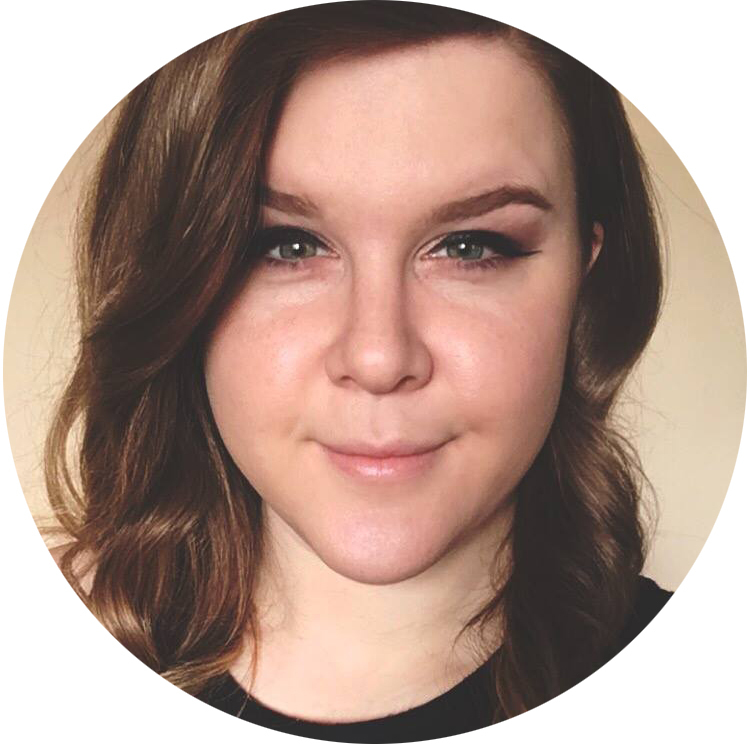 I've worn this one twice recently, it's a great clean pink for when you are looking for something sweet and simple. Three coats. 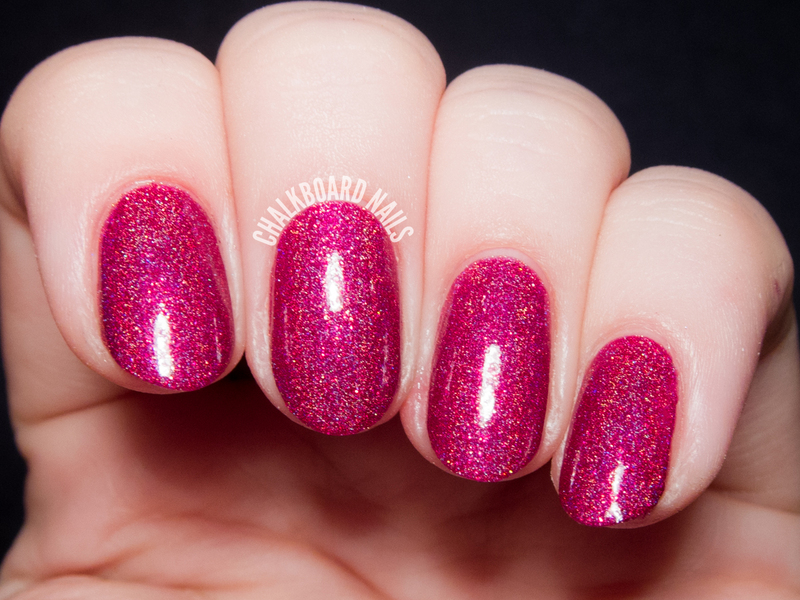 Too Hot For Pants is a red-fuchsia jelly with heavy shimmer and holo microglitter. It's a very rich shade, which makes it a perfect choice for the holidays. Two coats shown. 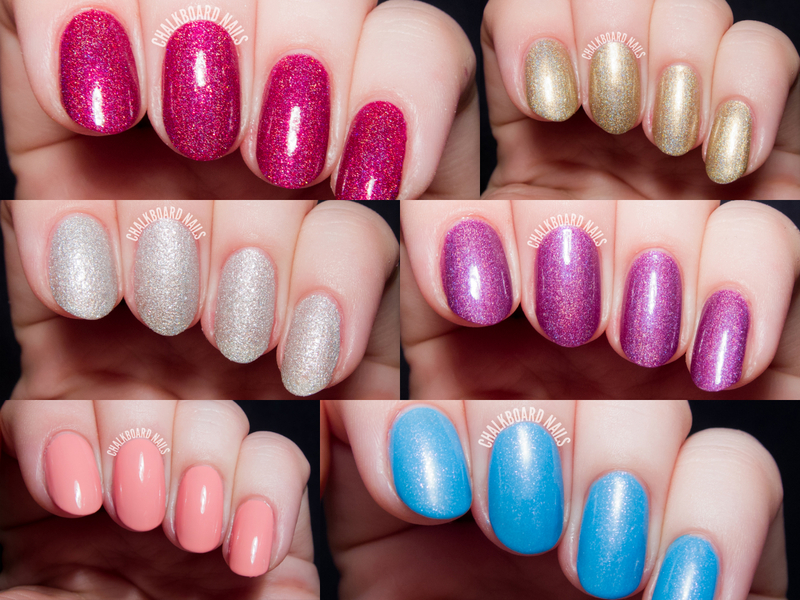 Walk Like an Egyptian is one of my most favorite Girly Bits shades to date. This champagne gold is so luxurious. It's holographic in the sun, but looks just as lovely indoors! 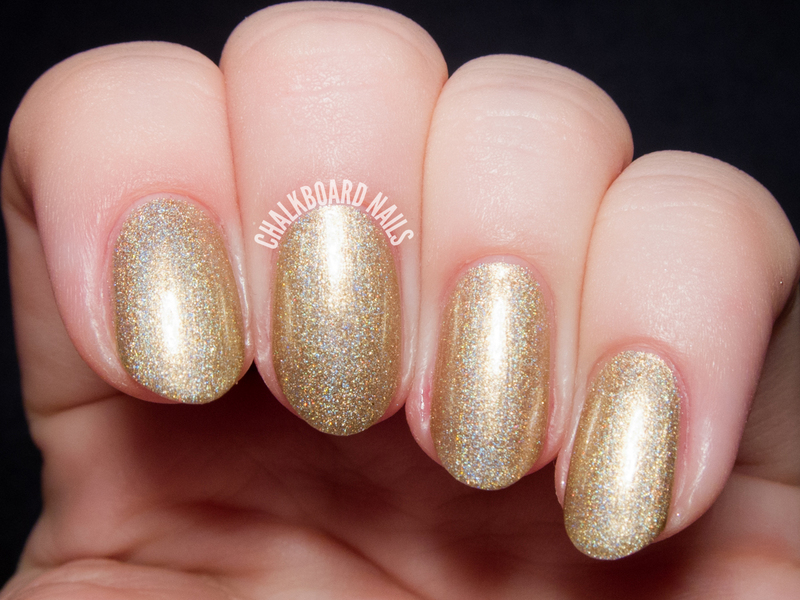 If you are a gold nail polish fan, this is totally a winner. This is three coats but many could get away with only two. Some gorgeous colors these are! I'm a sucker for blues, so one Arctic Sunrise, please! Whoaaa! Definitely Too Hot for Pants for me!! It will look stunningly cute as a pedi :D They're all super gorgeous though!! !